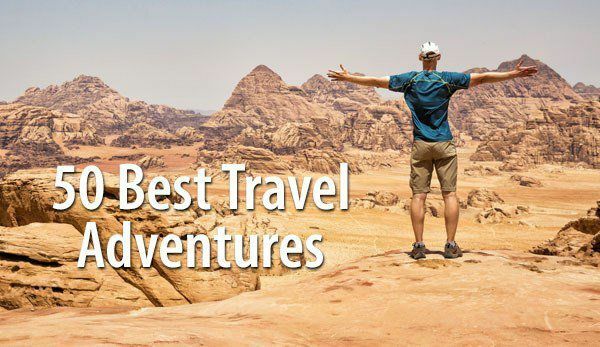 For those who want to tour one of the Middle East’s most popular travel destinations, this Israel and Jordan itinerary may be perfect for you. Tour Jerusalem, an ancient city where every stone has a story to tell. Go to Tel Aviv for the beaches and the night life, float in the Dead Sea, climb Masada, and go scuba diving in the Red Sea. 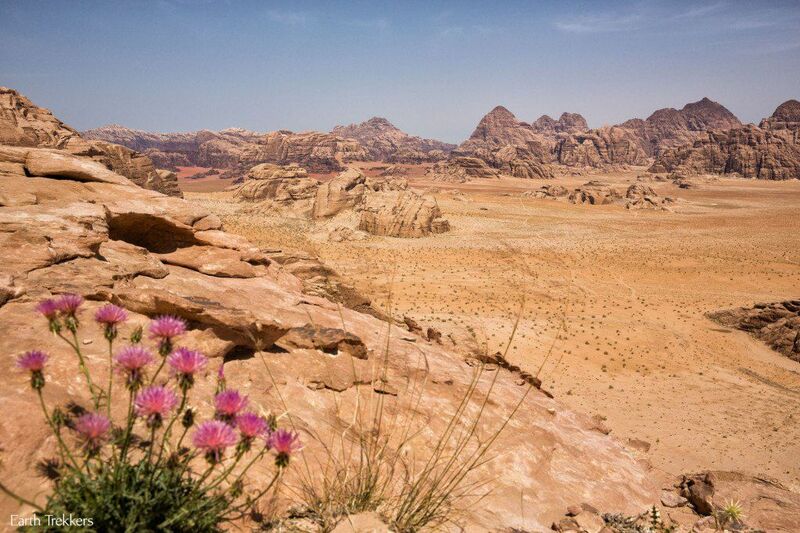 Just across the border is Jordan, home to Petra and Wadi Rum, and some of the friendliest people we have ever met. 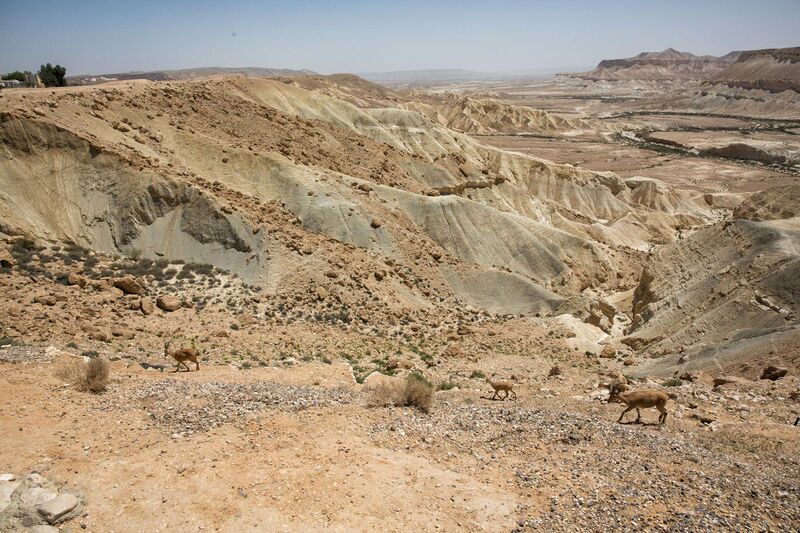 If you are traveling to Israel on holiday, Jordan deserves at least two days of your time. Flights into Israel arrive at Ben Gurion International Airport, located just outside of Tel Aviv. From the airport, take a taxi (the quickest way to travel) or shuttle (cheap but makes a lot of stops) to your hotel in Jerusalem. Most flights arrive midday, not leaving much time for exploration. 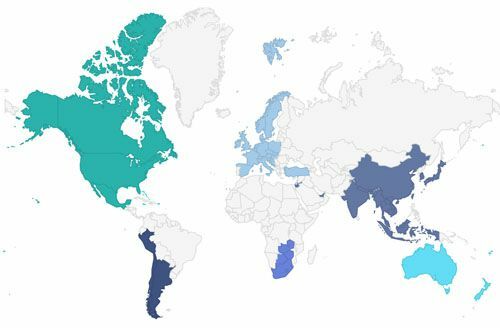 Most travelers may be exhausted, especially those arriving from the US, Australia, and the farther locations around the world. Spend the afternoon wandering the streets of the Old City of Jerusalem. Where we stayed: Harmony Hotel, a four-star hotel within walking distance of the Old City. Rooms are modern and clean and the hotel offers a daily happy hour for its guests. Two full days in Jerusalem is just enough time to see the best of this city. Ideally, four days or more would be better (and you can add in these days if you have the time). If not, don’t worry, you can still see many of Jerusalem’s amazing sites. Start your day at the Western Wall. While you are here, take the Western Wall Tunnels tour, a one hour journey through the underbelly of Jerusalem. 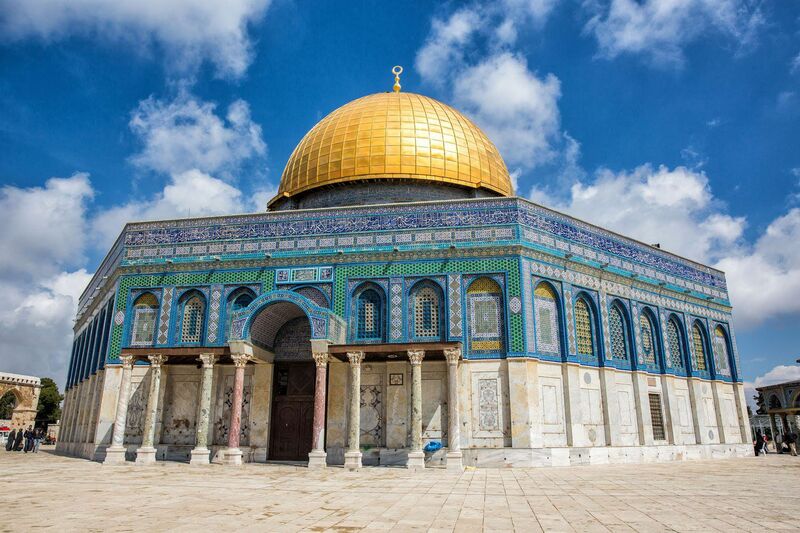 Next, visit Temple Mount and the Dome of the Rock. Once you get inside it’s a quick visit, but lines to enter can be long and visiting hours are limited. 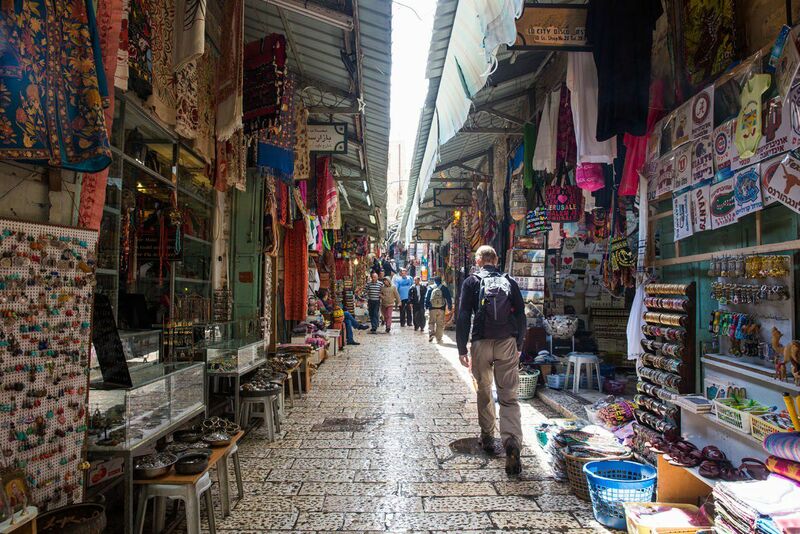 Spend the afternoon just outside the walls of the Old City: tour the City of David, walk Hezekiah’s Tunnels, visit King David’s Tomb, and take a look inside the Cenacle (where the Last Supper took place).End the day in the Jewish Quarter. 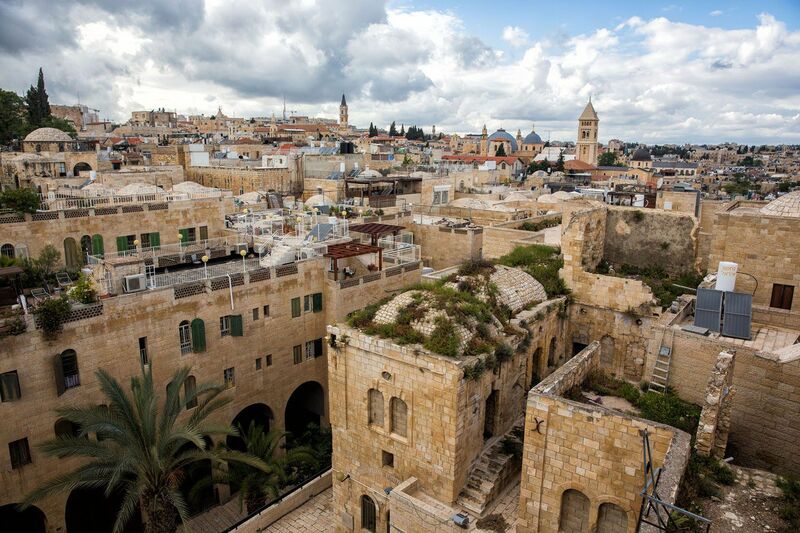 Tour the Hurva Synagogue, enjoy the views over Jerusalem, and then have dinner. Today is another busy day with lots of walking. 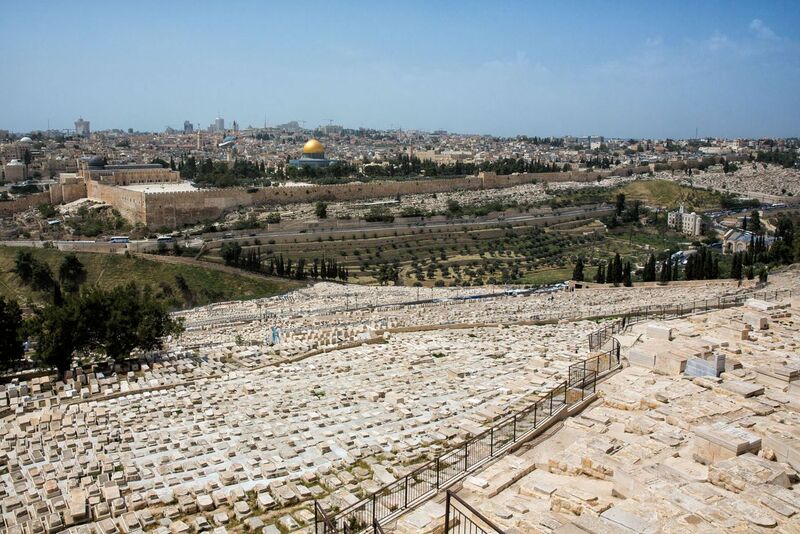 Take a taxi to the Mount of Olives. From here you will have one of the best views of Jerusalem. Walk downhill towards the Old City, visiting the Dominus Flevit Church, Church of All Nations, Garden of Gethsemane, and the Tomb of the Virgin Mary along the way. These are all located very close together and are quick visits. Walk uphill into the Old City, entering through the Lion’s Gate. 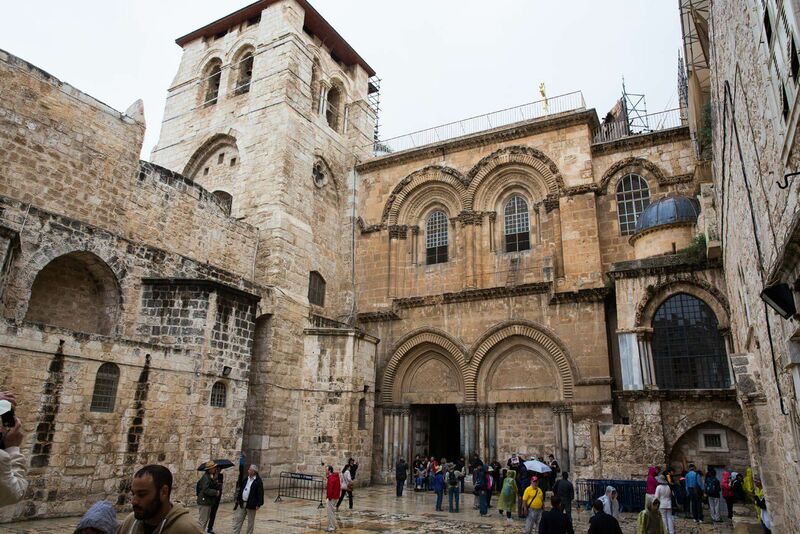 It is here you will walk the Via Dolorosa, the path Jesus walked during his crucifixion. This walk ends at the Church of the Holy Sepulchre, the site of Jesus’ crucifixion and the location of his empty tomb. Have lunch in the Christian Quarter. 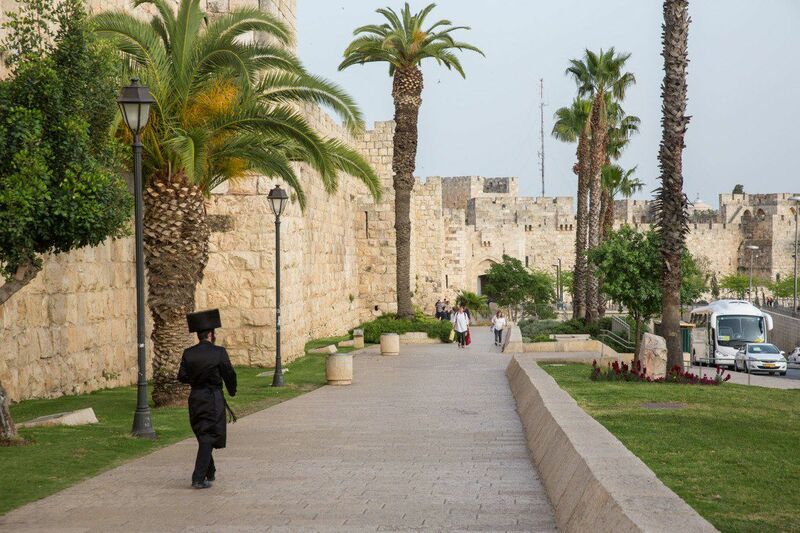 After lunch, walk the Ramparts, the top of the wall that surrounds the Old City, and tour the Tower of David Museum. This museum gives a concise explanation of the history of Jerusalem and has one of our favorite views over the city. From here you can explore the Mahane Yehuda Market (the best market in Jerusalem and a fantastic place to get dinner), Yad Vashem (the Holocaust Museum), or the Israel Museum. All three of these places are located outside of the Old City. The easiest way to get to them is by taxi. Today you will take a day trip from Jerusalem. 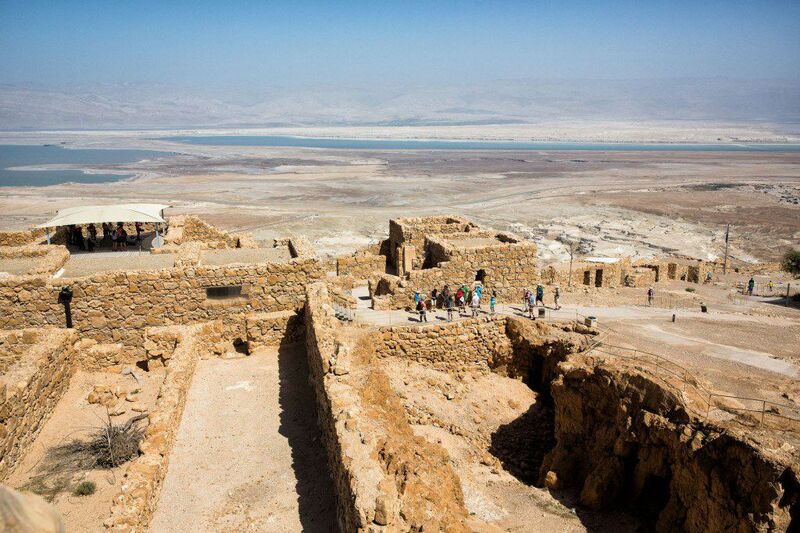 Masada and the Dead Sea are two hours away by car. You can either join a tour (of which there are many options), rent a car, or hire a taxi or private driver for the day. Take a day trip into the West Bank to visit Bethlehem, Jericho, Hebron, and/or Nablus. The easiest way to do this is to set up a tour. Crossing the border between Israel and the West Bank can be complicated so having a guide’s assistance will make your visit easier. We recommend Green Olive Tours. After breakfast, transfer to Tel Aviv. You can travel by bus, taxi, or train. 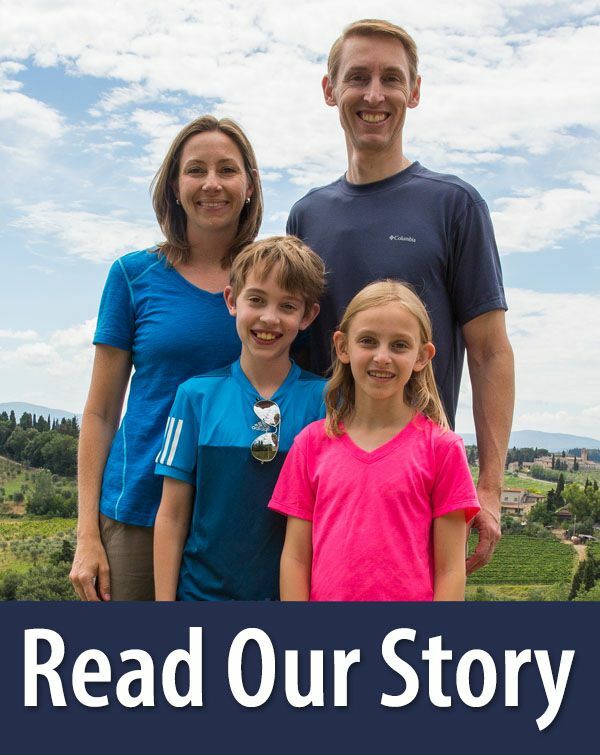 When we traveled between Tel Aviv and Jerusalem (we did this several times since Tim was working in Tel Aviv) we took the taxi because that was the fastest and most convenient option during our visit. It is also the most expensive. By taxi, it takes about one hour to travel to Tel Aviv and costs roughly 300 ILS. By bus, it also takes about an hour but you only pay 25 ILS. However, you have to get to and from the bus stations in both cities. There is a new high-speed train that started running in September 2018. However, it only travels from Jerusalem to Ben Gurion Airport. To continue to Tel Aviv, you will have to transfer to a slower train to finish the journey. There are plans to continue the high-speed train directly to Tel Aviv. Once this opens, it will only take 28 minutes to travel from Jerusalem to Tel Aviv. 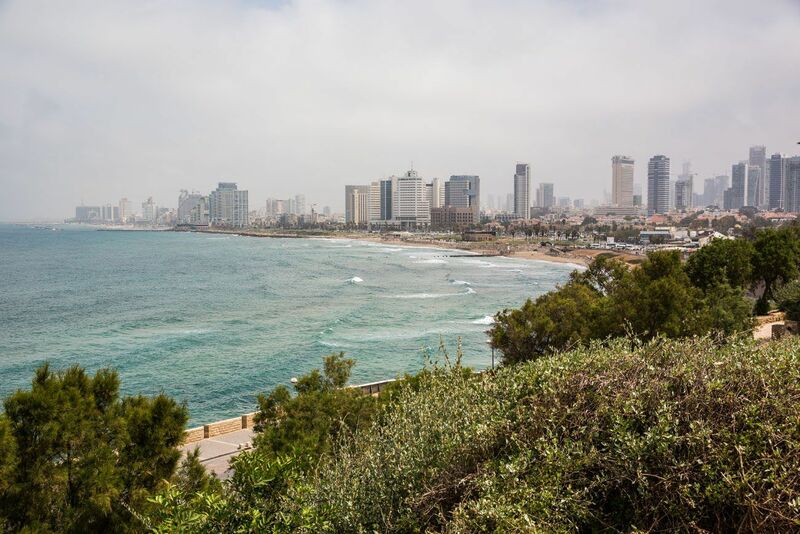 In Tel Aviv, enjoy the beaches, go surfing, go shopping, and relax. For dinner, go to the old town of Jaffa, best visited during the twilight hours. Eilat is the southernmost city of Israel, located on the border with Jordan and Egypt. You can fly directly there, giving yourself the remainder of the day in Eilat to swim in the Red Sea, go scuba diving, or snorkel with dolphins. 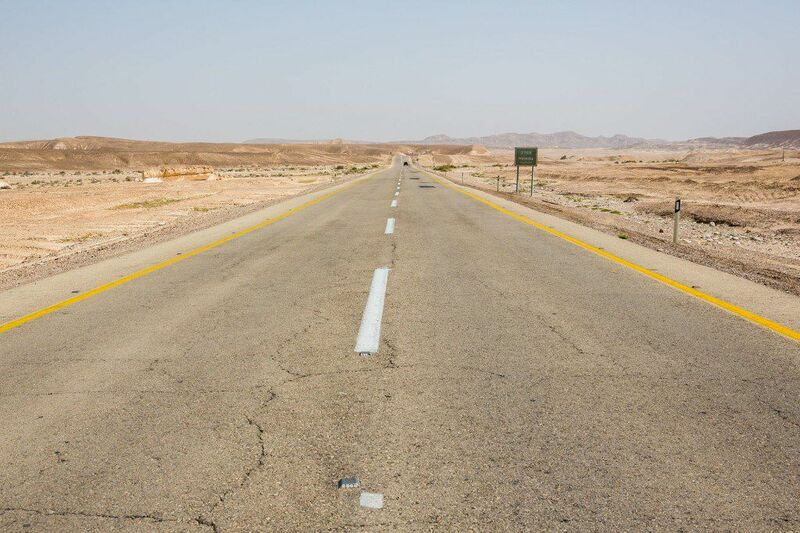 You also have the option to drive to Eilat through the Negev Desert. There are some interesting sites along the way and even a wine region to tour, believe it or not. Have dinner at a beachfront cafe (we recommend La Cuccina, an Italian restaurant on the boardwalk with views out to the ocean). Go to bed early. Tomorrow you will be up early for your border crossing into Jordan. 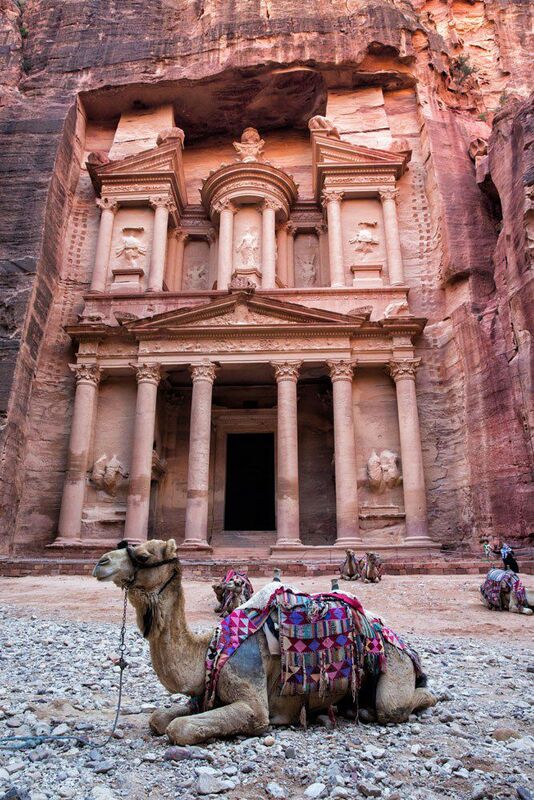 It’s time to go to Petra! You can visit Jordan on your own, arranging your transportation and hotel accommodations, but we highly recommend hiring a tour company. 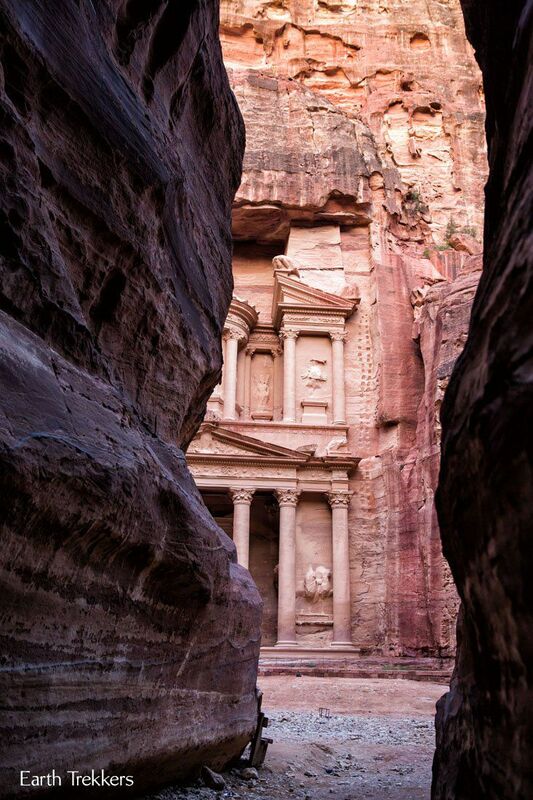 Cross the border into Jordan and travel the two hours north to Petra. Spend the day exploring Petra. Must-see sites are the Treasury, the Monastery, and the Siq. If you want to see the Treasury without the crowds, stay until closing time. As the sun sets, most people will leave, and you will have the Treasury almost all to yourself. You may have to share it with a few camels, but that just adds to the experience! About Our Experience: We hired Desert Eco Tours. We took a two day private tour of Petra and Wadi Rum. They arranged our Jordanian visas, booked our hotel, provided transportation, and provided us with a guide for Petra and a guide for Wadi Rum. In Petra, we spent several hours with Muhammed, who explained the history of Petra and took us on a hike that we would have missed if we did not have a guide. 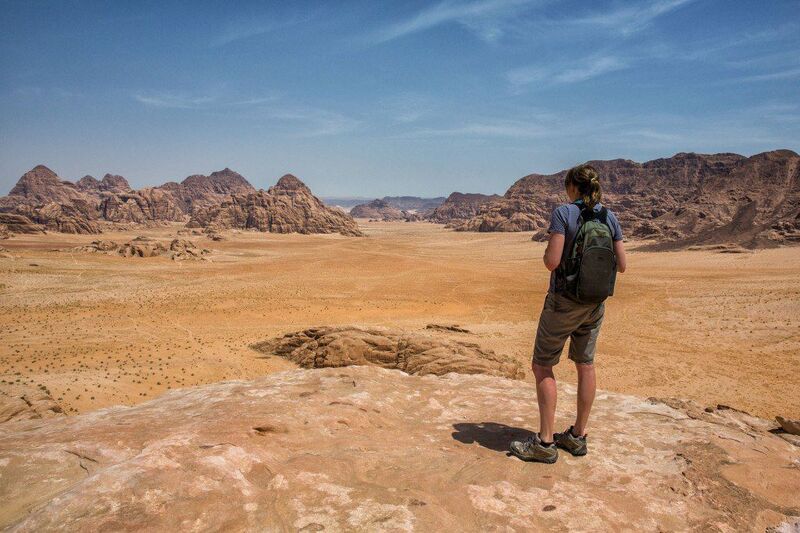 In Wadi Rum, Ali took us on a tour of the desert by 4×4 and led us on a phenomenal hike. Our two days in Jordan was a fantastic experience and I highly recommend Desert Eco Tours. This morning you have the option to see Petra at sunrise. 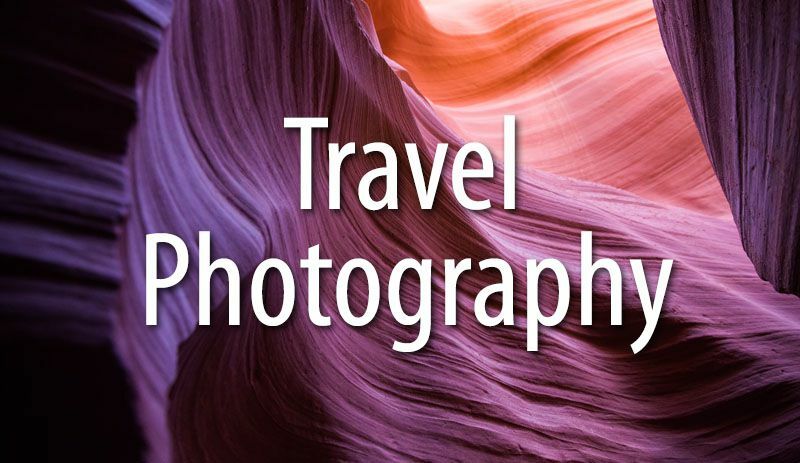 Yes, it is an early start to the day, but if you are into photography, this is a must-do opportunity. If you want to have the Treasury all to yourself, get there first thing in the morning. In our opinion, it is absolutely worth it. Tim and I walked through the entrance gates into Petra at opening time (6 am in April). We were the only ones walking down the Siq, other than the one lone dog who tagged along next to us. For 20 minutes, we had the Treasury to ourselves before anyone else arrived. This was one of our favorite moments on our trip to Israel and Jordan. After breakfast at your hotel, your guide will drive you to Wadi Rum. In Wadi Rum, you have the option to spend a few hours touring the desert by 4×4, or for those feeling adventurous, you can go hiking. 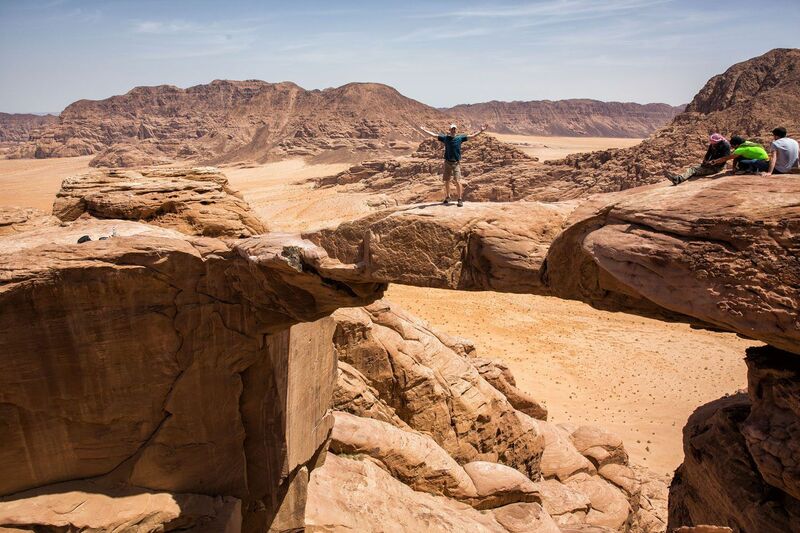 The hike to Jebel Burdah Rock Arch quickly became one of our favorite hikes in the world. The views are unbelievable and it is just challenging enough to really make it fun. Prior hiking experience and even some rock climbing experience are a good idea before attempting this hike. After your tour of Wadi Rum, your guide will transfer you back to Aqaba, where you will cross the border into Israel. From here, catch an evening flight to Tel Aviv or spend one last night in Eilat. If you did not do so last night, catch a flight to Tel Aviv or Ben Gurion Airport, to begin your travels home. Or, for those with more time, continue on to your next destination. Add more time to your stay in Jerusalem. Northern Israel. Spend several days in northern Israel, visiting Haifa, Golan Heights, and the Sea of Galilee. You could add this travel segment in between Jerusalem and Tel Aviv. Amman, Jordan. Rather than returning to Eilat after your tour of Wadi Rum, travel north to the capital city of Amman. Go canyoning in Jordan. At Wadi Mujib, walk through a deep sandstone gorge filled with water. Those who do it rave about it. The best time to go to Israel and Jordan is in the spring (March through May) when temperatures are comfortable and the weather is dry. Summer can be scorching and winters can be surprisingly cold. The fall has cooler temperatures but a higher chance of rain, especially in Jordan. 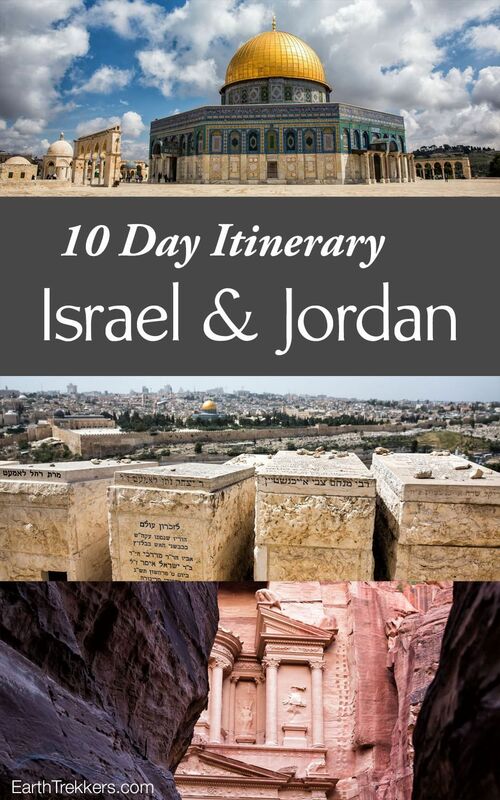 Do you have any questions or comments about this Israel and Jordan itinerary? Feel free to email us or comment below! 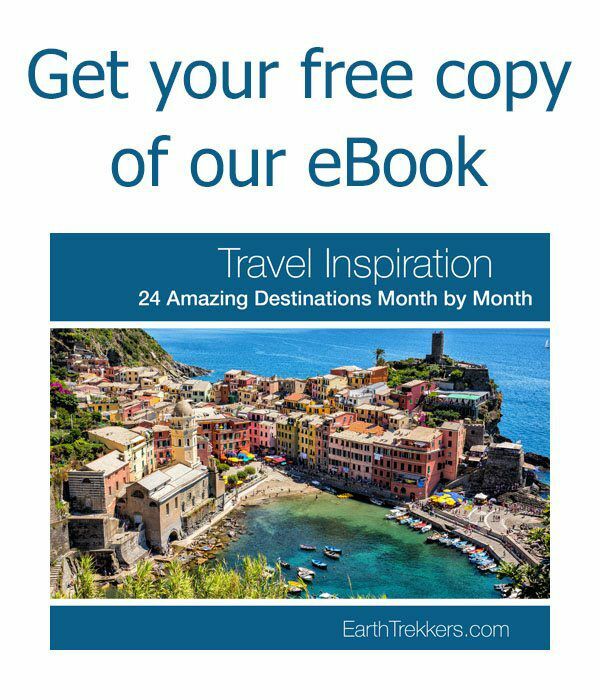 Planning a trip to Israel? Read all of our articles in our Israel Destination Guide. 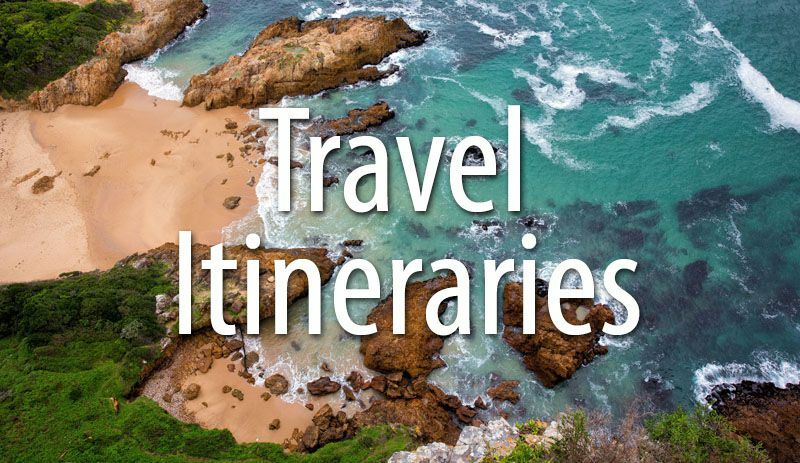 Your itinerary certainly covers the areas that we hope to see in Jordan and Israel. We are considering flying in and out of Amman, rather than using Tel Aviv as the “point of entry/exit.” I realize that you did not go to Amman, but did you do any driving in Jordan, or just left it up to the Desert Eco Tour team. We are trying to figure out the best ways to get from Amman to Petra and Wadi Rum, then up to the Dead Sea, Jericho, Bethlehem, Jerusalem, and back to Amman. If you have any suggestions, I’d appreciate them! Hi – Thanks for this blog. 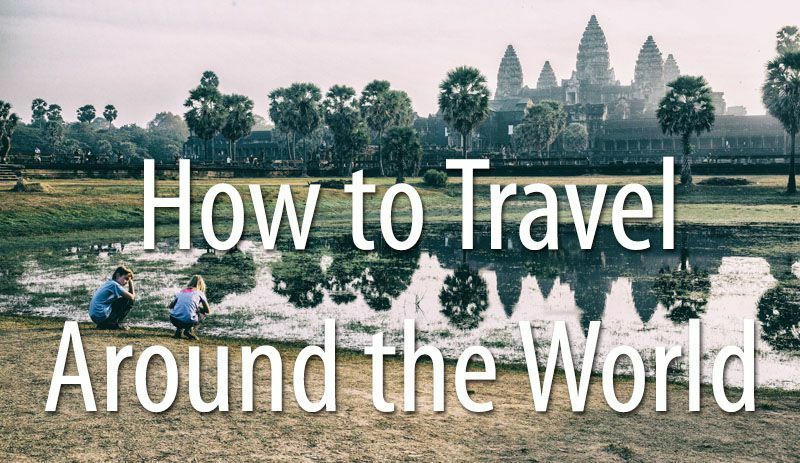 It has quickly become my go to for researching travel locations. I have a quick question. 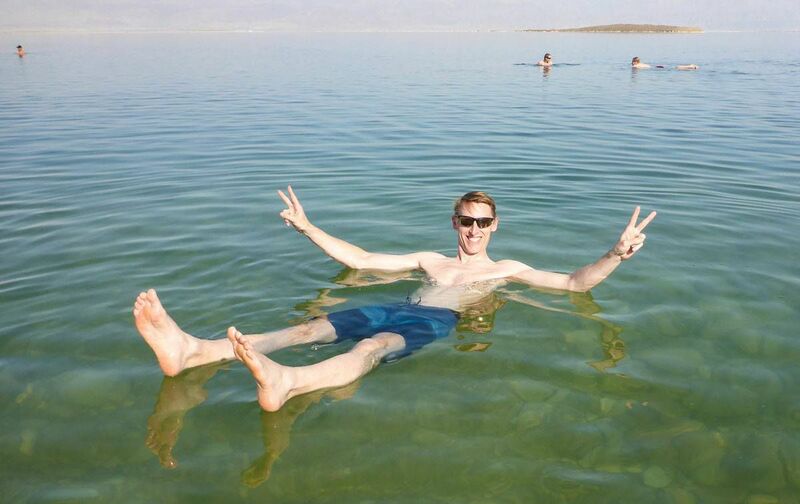 If you had one free day in Eilat, would you do Wadi Rum or Masada/Dead Sea? I will be doing Petra the day before but need to be in Tel Aviv by the following morning. I’m debating between: a) renting a car and driving from Eilat to Masada/Dead Sea and then over to Tel Aviv, or b) spending the day in Wadi Rum and flying from Eilat to Tel Aviv at night. Thank you for your response! This is very helpful. I was already leaning toward Wadi Rum since I will be over there anyway. I’ll just have to plan another trip to do the rest of the items on your itinerary. Thanks again! Where is your affiliate link so we can look at pricing and book the above tour? Thanks for the help. Great article. Hi! Thank you for sharing your amazing journey. We are planning a similar trip with our 2 young children in March 2018. Do you recommend a tour company for Jerusalem and Tel Aviv? I saw you have one for Jordan but didn’t see how you managed in Jerusalem. Did you find guides at the sites to give you more information? Or just book through hotels once you arrived ? Thanks any info helps! I was wondering if I need a visa to enter Jordan from Israel with a Canadian passport? This is a phenomenal itinerary. I am very interested in moving onto Egypt from our last stop in Petra. Do you have any input on options? We are hoping to see Cairo, possibly Mt Sinai and St. Catherine, as well as the Nile cruise as a potential option but our main hope is to see the Valley of the Kings. I love this itinerary! Very thorough and great info. I’m planning on traveling to Jordan in late May and then crossing the border to Israel to head to Jerusalem. What are your recommendations traveling between the two countries? Seems like there’s not a lot of info on how to do this 🙁 Thanks! How much should you budget for a 10 day trip with this itinerary in May from the US? I am from Texas, and I am a girl so I don’t know if there are any customary “rules” I would need to follow. I would either travel alone or with another girl that sometimes travels with my. I also like to dive in the culture when I get to go somewhere: clothes, music, food, everything I can. When you visit Jordan and Israel you can discover the deep history of this holy region, you can see and feel the really meaning of the peace. In Jordan, the mixture of the cultures, the best weather, Roman-Arabic recombination cultural and the save conditions were considered the main reason for the visiting.